It's essential to keep in mind the type of music the deceased preferred or specifically has requested. Funeral music can be played throughout the funeral service. When choosing funeral music, you may want to decide if you will be making use of an instrumentalist such as a pianist/organist or playing music from a CD. Also review the list of top funeral songs to see if you would like to include any of them in the service you are planning. If your using a funeral home, you may want to check with them to see if they provide the use of an instrumentalist as part of their package. From the officiant's point of view, the easiest option may be to use an organist. You will only need to select the music for the organist to play. The rest of their responsibility will come in the form of timing and cues just before, during and after the ceremony. Usually, at most funeral homes there is an organ present in the room where the service is held. Playing music from a CD is relatively convenient. 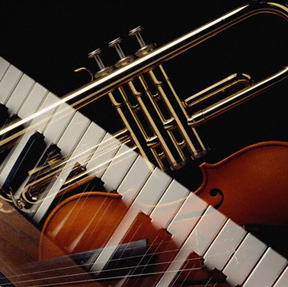 You are able to play a variety of genres (funeral hymns, gospel, contemporary) direct from a favorite artist. A portable CD is simple to bring to the funeral location or if the service is in a funeral home, they may even have CD players available for use. It's a good idea to delegate the task of playing and stopping the music on the CD to a friend or discuss this with the funeral director. If more than one song is to be played, you might want to consider burning a CD with all the funeral music in one place as opposed to having several CDs to take with you to the funeral location. Another option for music would be to have a soloist sing acapella or with a CD instrumental. If you have someone in the family or a friend who is gifted in singing, you may want to ask them to provide a solo for the decease, if they are able. Or you can also hire a soloist for this type of service. There is nothing that restricts you to the kind of music that can be played at the funeral service. If your still not sure, view some funeral music videos to get more ideas. It is all a matter of preference and personal taste. You will normally want a musical selection to be approximately six to eight minutes for the funeral service opening music and about five minutes or so for the closing or exit music. You can also have it played right before the funeral eulogy or message is given. Music at the Committal or Graveside may or may not be preferred. You may want to discuss this with the officiant. Some opt to sing a hymn or a song at some point in the during the committal. Our collection of special songs especially for a funeral or memorial service can assist you in determining which music to include into your ceremony or visitation. Each music is unique and creates a peaceful rest atmosphere for attendees and bereaved family members. Music is an important part of the service, although not a necessity but can create and promote a healing ambiance. You can choose traditional songs as we listed in these categories or choose non-traditional music that were favorites of your loved one. There is no wrong or right when it comes to the selection of funeral songs and music, it is up to the grieving family or ones chosen by the deceased prior to passing.